In appreciation for the donation, we will post a thank-you note in our social networks. 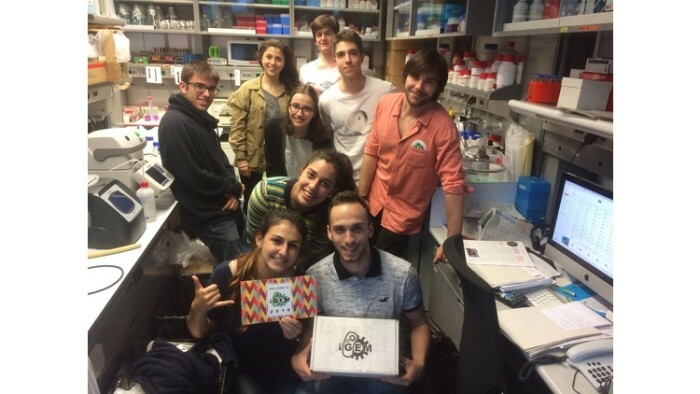 Sticker with the team logo (iGEM Barcelona) and a note of gratitude in our social networks. Key-ring with the team logo (iGEM Barcelona) printed with a 3D printer. T-shirt with the team logo (iGEM Barcelona) printed. Kit to create your own microscope by using yout smartphone. You will be able to observe all the small details! Illustrated and printed book with experiments that can be carried out at home. Discover how the project is carried out and meet the developers. Discover how the project is carried out and meet the developers + receive all the previous rewards. Whoever contributes with this amount of money would appear in our website page and all the events where the project is presented as an official sponsor. Moreover, he will receive a guided visit in our laboratory and all the previous rewards. 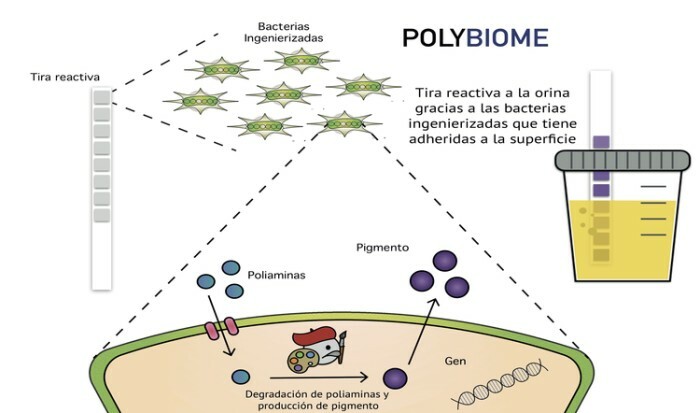 Polybiome is a project with the aim of developing a preventive treatment against colorectal cancer and a marker of tumoral risk, by using engineered microorganisms. Purchase of reactive solutions, culture mediums and bacteria in order to perform the experiments which will allow us to develop our project, as well as the tools to work in the lab. Design and creation of model bacteria and performance of posterior studies of performance. Design of the genetic parts and creation of the bacteria in charge of detecting polyamines in the urine. Performance of experiments and validation of the detection capacity by using urine samples coming from animal models. All the tests with animals will be performed according to the legislation and regulation. One of the aims of our project is to share the results that we obtain and divulge them. We will do it by open access digital publications, expositions and talks. 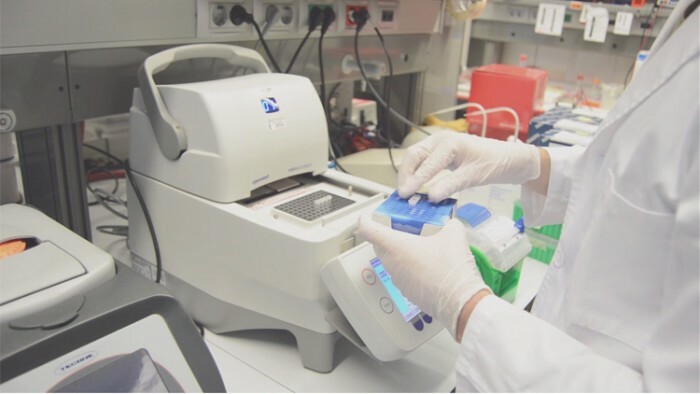 The results of the experiments will be verified by using different bacteria with the objective of evaluating the potential beneficial effects of every type of bacteria on the body. We will also try alternative methods and designs for the genetic engineering in both lines of the project so as to find out the optimal result. Improve of the tools where we try the probiotic. Use of a device to better simulate the environment conditions inside the human gut, so as to better assess the performance of our bacteria. Even if possible, we could try our probiotic in animal models, taking into account the current legislation and normative. 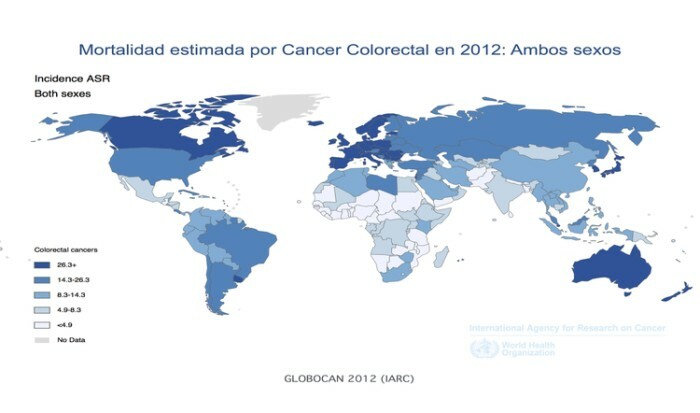 Colorectal cancer is, undoubtedly, one of the highest diagnosed cancers both in Spain and in the world, being the current diet one of the main reasons of its development. Because of this, we want to reduce this incidence not by forcing an extreme change in society’s current eating habits, but by creating a probiotic that would help its prevention. This probiotic would be composed of some bacteria naturally found in our gut, modified so as to serve as a tool to prevent cancer. In order to achieve our ambitious purpose, Polybiome Project would use synthetic biology, which comprises the engineering of microorganisms to enable them to carry out a beneficial function. In our case, these microorganisms will degrade the polyamines coming from our diet, which are essential molecules that are necessary for our survival, but that in excess could result in an uncontrolled proliferation and tumour formation. 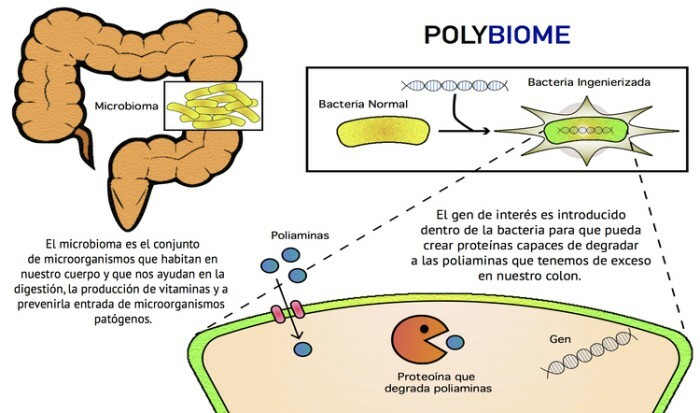 The second aim of Polybiome Project is the creation of a marker of tumoral risk: a reactive strip capable of detecting the risk of suffering cancer through urine. The reactive strip would contain a type of microorganisms that in contact with the urine would be able to quantify the polyamines present in it. When the microorganisms would detect a high concentration of them, they would express a product that would lead a visible change in colour in the strip, warning the user about the probability of suffering the cancer. 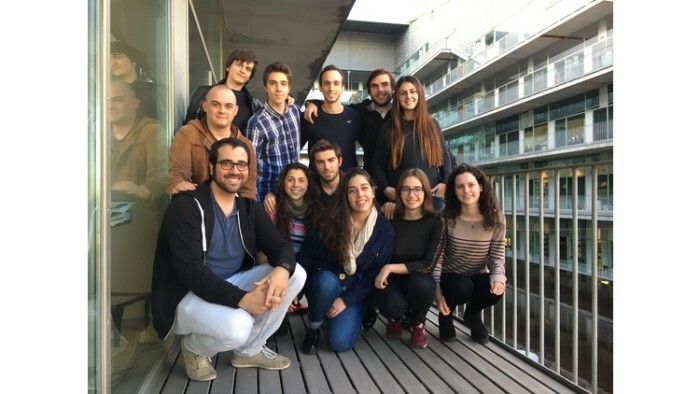 Polybiome Project is composed by a group of 10 students of Biomedical Engineering at Pompeu Fabra University in Barcelona who love science and research. Approximately one year ago we discovered the existence of iGEM (International Genetically Engineered Machine), an important international synthetic biology competition, which is held every year in Boston, Massachusetts. Since it was created in 2003 in the Massachusetts Institute of Technology (MIT), the number of teams which participates has not stopped growing, adding up to 280 teams from 30 different countries last year. Therefore, we decided to create the first iGEM team from our university, in order to be able to participate in this competition. 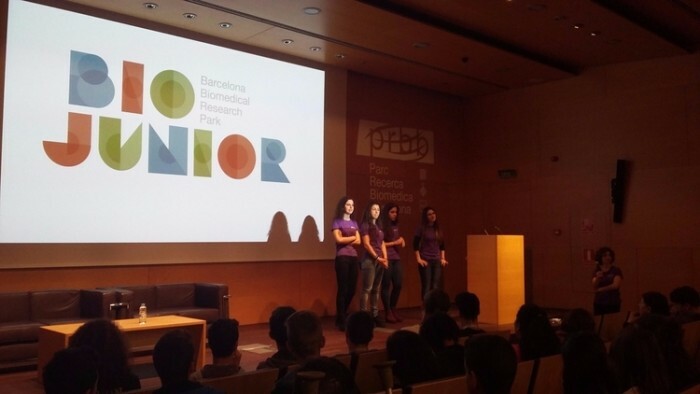 With our motivation and willingness to work hard, we got the support of both the Pompeu Fabra University (UPF) and the Center for Genomic Regulation (CRG) of the Biomedical Research Park of Barcelona (PRBB), in order to be able to initiate a project with a particular interest in the field of health. Nevertheless, starting a project this big requires an important economic investment. For this reason, we would like to share our idea with you all, so that we can finance our project with your help and kind collaboration. Our team was formed approximately one year ago, as a fruit of a shared pasion: the desire of implementing all the knowledge acquired during our degree for a good cause. Motivated by the idea of solving medical problems which has a high incidence and impact on the populaiton, we decided on doing research on cancer. As a result of the statement of World Health Organization (WHO) warning that the consumption of processed and red meat increases the risk of suffering colorectal cancer and due to the high incidence of this cancer around the world, we decided on centering our efforts in preventing its appearance. For this reason, our project is addressed to this population who has a healthy and balanced diet and does not want to reduce in an excessive way the consumption of red or processed meat and neither the consumption of food with high polyamines levels and that is willing to prevent the appearance of colorectal cancer with our probiotic. The main idea of this campaign is to cover all the laboratory material expenses. Both chemical products, including reactive solutions and enzymes, and the specialized technology for the treatment of microorganisms are very expensive. We have already been able to acquire a relevant part of the required products, thanks to the help of the supporting institutions, but we need your collaboration so as to be able to finish the initiated work. Another reason for beginning this campaign, is the willingness of raising awareness in different sectors of our population about the potential beneficial effect that the engineered organisms can have in the medical, ecological and industrial field. Furthermore, we pretend to refute all the false myths about transgenic products and favour the acquisition of knowledge based on the scientific method. Until now we have obtained funding from our university, UPF: both the Department of Experimental and Health Science (DCEXS) and the Department of Information and Communication Technologies (DTIC) are collaborating with us. In addition, we also have obtained the support of the Centre for Genomic Regulation (CRG), a biomedical research institute with international excellence, placed in the Biomedical Research Park of Barcelona (PRBB). The PRBB is a huge scientific infrastructure, located next to the Hospital del Mar of Barcelona, which gathers together six rigorously coordinated public research centres. We feel very proud of announcing that the lent laboratory where we will work will be located in this building. Furthermore, prestigious researchers from this centre will provide direct advice to us through an active participation in the project. Although we are still students, all the members of the team have had previous experience working in laboratories and research groups, where we had the opportunity of consolidating and put into practise our scientific and technologic knowledge, such as in the DCEXS, the Vall d’Hebron Research Institute (VHIR) or the Bellvitge Biomedical Research Institute (IDIBELL). The research proposed in this project tries to promote a new way of fighting illnesses by using the microbiome. The microbiome is a group of different microorganisms which live in our gut, a very important part of us that normally it is completely forgotten. By using synthetic biology, we will modify the microorganisms naturally found in our body in order to make them perform a particular beneficial function. We are willing to share our results so that everybody will be able to acquire the knowledge that we obtain while we perform the experiments. 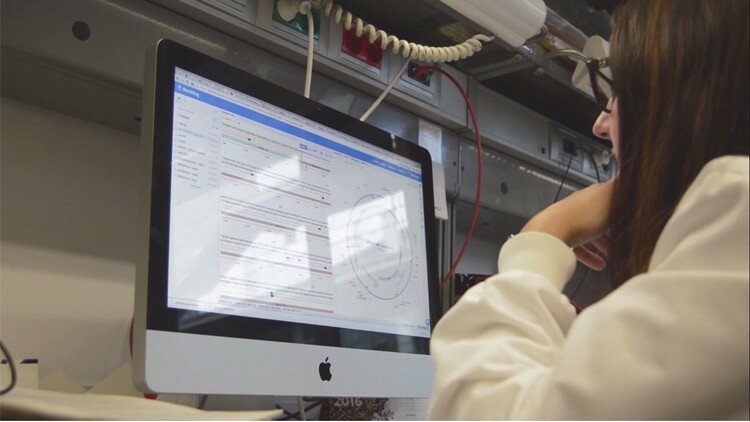 For this reason, we want to perform our research in an open access way, so that all the positive and negative results, the computational models and the detailed development of the experiments will be recorded in our iGEM website. That way, any interested person will be able to read them. We will add the sequences and the physical copies of the DNA parts that we develop to the BioBricks collection of iGEM, in the same way that we will do with the results of our experiments. This library of iGEM can be freely accessed by using Internet or contacting any of the laboratories associated to the institution.